Are You a Merchant Looking for Business Financing Solutions For MMJ, Cannabis, Medical Marijuana Hemp CBD? We Have The Solution! Some industries and businesses are deemed as high-risk businesses. In fact, merchants dealing in MMJ, Cannabis, Medical Marijuana, and Hemp CBD are all termed as high-risk merchants. But as a business, they too have financing needs. Many banks are unwilling to give loans or any kind of finance solutions to these businesses and merchants. If you are a merchant whose business deals in MMJ, Cannabis, Medical Marijuana Hemp CBD, what are your options? Do you have any ways to get that required working capital that you need? A straightforward answer to the question would be that you can always choose alternative funding solutions. Even if banks are unwilling to give business financing to high-risk merchants like you, there are alternate solution providers who are ready to give your business finance in the form of Merchant Cash Advance. What is Merchant Cash Advance and How does it work? Finding a legitimate payment solution also getting working capital from trusted sources is quite difficult for retailers and small businesses of MMJ, cannabis, Medical Marijuana etc. This is where merchant cash advance for high-risk merchants come into place. These Merchant account and merchant cash advance providers not only different kinds of payments solutions to high risk merchants; they also provide Merchant Cash Advance. Merchant Cash advance is an advance that is given to merchants for a short term in order to be used for any kind of emergencies or for business expansion or even purchasing inventory. There are a number of ways in which this business cash advance can be used by high-risk merchants in order to improve the business cash flow. A merchant cash advance is a form of business funding that gives alternative solutions to small business owners, which are considered as high risk by commercial banks. This is not a loan. It involves giving a percentage of the future credit card or debit card sales to the Merchant Cash Advance provider. Repayments are made on mutually agreed terms and conditions between the merchant and the merchant cash advance provider. The entire process is hassle free. It is usually seen that merchants with bad credit and also high NSFs seem to qualify for getting this form of business financing. 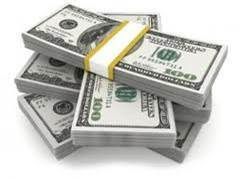 The working capital needs of the small business can be easily met with, by this cash advance. Commercial banks have stricter loan terms, and as they are unwilling to underwrite, they do not provide loans to high-risk merchants. The entire program is very flexible. We are a Merchant cash Advance company that provides merchant cash advance for all types of high-risk businesses. We know your requirements well enough to give you the required working capital that you need for your business. Our range of services is extensive and the terms and conditions, flexible. Get in touch with us to finance your business needs. We are proud to let you know that we have the best of the policies in place with transparent fees and competitive pricing. We also offer different kinds of payment solutions to merchants. If commercial banks are denying your loan applications, there is no need to fret. We provide the best of the kind merchant cash advance and business financing for most of the small businesses and high-risk merchants. We also provide 1st position 2nd position, 3rd position, 4th position and 5th position funding, if your business qualifies for it. We have flexible options for all your business needs. All you need is good revenues and credit card sales. Bad credit does not come in the way for approval of your business cash advance. Get your MMJ, Cannabis, Medical Marijuana or Hemp CBD business going, by utilizing our services.